We are frequently told that service clubs are a dying breed, beginning with Robert Putnam's Bowling Alone, published in 2000, and continuing with the mindset of many volunteer leaders and workers today. Putnam's book was subtitled "The Collapse and Revival of American Community." My thoughts today lie in that second verb - revival. You see, I don't believe that service clubs ever collapsed; however, I know that many individuals who made up service clubs were a number of distressing things. First, they were exclusive. That's right, men made up the service club foundation and their spouses were invited to play along only at social occasions. When women began to be more visible in the workforce, men were slow to adapt to working alongside ladies in the pursuit of good. Truth be told, they probably just didn't want to eat lunch next to them, for whatever reason, and women weren't invited to join the local service club. When pushed, the Supreme Court said ladies had to be allowed to join and then the service clubs shed many of those men who were set in their ways, many of whom were long-time members. Those men were selfish. They didn't want to share their network, nor the social good they provided, with all. I'll refrain from actively stating that those men disregarded basic human rights. It was just a time of change in our culture, where women and African-Americans were making small steps towards parity and those who didn't like progress demonstrated their distaste by removing themselves as a form of protest. However, ladies and other minorities joined and that is when the revival began. The pace is insufferably slow, but it is a revival nonetheless as new clubs are built, members are added and more projects are conducted. Service clubs provide community service on a local level every day in cities and regions all around the world. That revival is to be celebrated. And that is what the Gardena Evening Optimist Club in California plans to do. 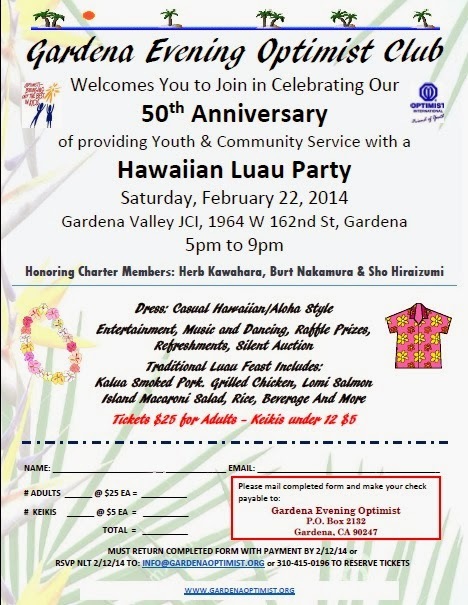 On Saturday, February 22, 2014, it will hold its 50th Anniversary party. Charter members Herb Kawahara, Burt Nakamura and Sho Hiraizum will be honored. Now that's a revival, or perhaps just recognition, that some service clubs are built to last. I noticed that some of my most die-hard, right-wing friends were posting and sharing Martin Luther King, Jr. quotes on their Facebook pages today. It is interesting how time allows some to gently, slowly and moderately accept the changing world values, values that should have never been questioned at all. I've written here before that equality for all cannot be legislated unless it is accepted in the culture where we live and raise our families. That we, in the United States, remain behind our European neighbors but ahead of so many other nations in this struggle is pertinent for we lead the world in humanitarian relief efforts. I'm not sure, but I believe that celebrating days like today, MLK Day, will help expand compassion and service at home, by all. This SlideShare presentation from Ethos3 provides a brief, but interesting look at some of the unknown events in Martin Luther King, Jr.'s life. Please watch and share. There are many ways to recognized outstanding members of your Optimist Club or others who demonstrate the values in your community set forth by the Optimist Creed. The Balls Creek Optimist Club decided that a memorial scholarship was the best way to honor one of theirs. This week, the Balls Creek Optimist Club announced the Larry Teague Memorial Scholarship has been established for any graduating student who has participated in an activity of the Optimist Club. 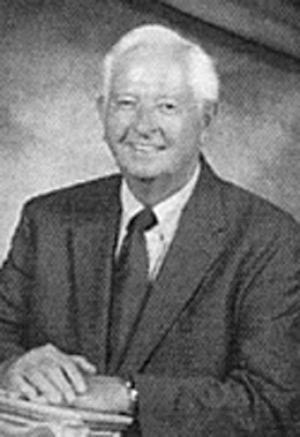 Mr. Teague was a charter member of the Optimist Club established in 1971. Over the years he served in many capacities including club president and he coached baseball and basketball in the Optimist Club sports programs. With this scholarship, the Optimist Club recognizes his service as a mentor and community leader as well as an outstanding Optimist. His memory will live on. If you live in the Balls Creek, North Carolina area contact De Batchelor at the Bandys High School for more information. Thanks to the Balls Creek Optimist Club for the photo. Are they intrepid or optimistic? One of my Optimist Club alerts returned the following news to me today, "Optimist Club donations 'zoom' to local charities: A couple of inches of new snow didn't stop 14 intrepid Optimists from showing up for breakfast and an informal meeting..."
Appearing in the Oakland Press, those two lines held plenty of hook for me to bite on as a follower of all things optimistic, but what really grabbed my attention was the word intrepid. Optimist is frequently accompanied by a plethora of modifiers, from average to zealous and all letters in between; however, intrepid is not a common one. According to the Merriam Webster dictionary, the definition of intrepid is: characterized by resolute fearlessness, fortitude, and endurance. From that definition, it strikes me that perhaps the reason that they are rarely used together is that intrepid and optimist are rather like synonyms. Those who go forward relentlessly hoping only for the best on their journey. 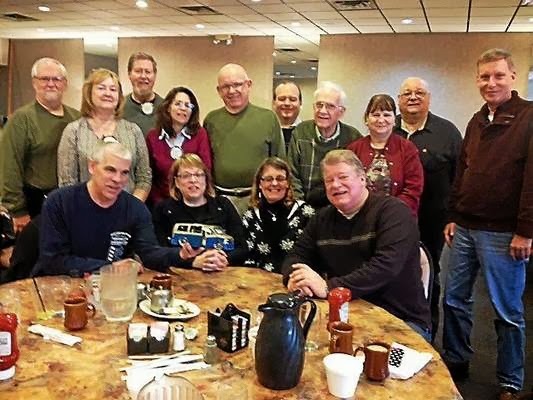 For the intrepid optimists in my story, they certainly plowed through a snowy Michigan morning to gather as the Royal Oak Optimist Club and as they do at every meeting, they passed around the Zoom-Zoom Car. The Zoom-Zoom Car collects change year-round for the community's Give-A-Christmas Year Around Fund. The Optimist Club is generally a top giver to this fund that serves different community youth groups including Common Ground, CARE House of Oakland County, Boys & Girls Club of Oakland and Macome and the Welcome Inn day warming center for the homeless. The Zoom-Zoom Car has a history of its own; it was started by member Randy Booden, owner of a collision repair company in 1992. With his business, he had a reputation for fundraising in the community with remote control race cars and a classic car show. When he joined the Optimist Club, he brought his enthusiasm for the sport with him and the tradition stuck. That means for more than 20 years, the Zoom-Zoom Car has been helping the Royal Oak Optimist Club help its community. Traditions are important for Optimist Clubs for they provide a story along with the legacy that your club leaves for its community. Do you have a tradition in your club? Please, tell us about it in the comments. According to psychologist Tim Wilson, a professor at the University of Virginia, you can edit your memories in order to provide a happier interpretation of events. He calls the process "story-editing" and according to Wilson, small tweaks can lead to changes in behavior and the direction of our lives. He uses this intervention to help people get through troubling times and to overcome obstacles. With Wilson's process, in order to edit your story, you have to write about it. He suggests taking an event and writing about it for 15 minutes every day for four days. Over this time, you'll begin to make sense of what's troubling you and while some will gain acceptance, many will find solutions. Wilson says that similar interventions have been used to help relieve mental anguish, improve health and increase attendance at work. He's even used them to help encourage students to stay in school. I think the process sounds much like why we enjoy telling stories of our childhood, especially at the holidays when families gather together to reminisce. Stories about escapades that were questionable at the time are suddenly funny and over years, the characters become much more colorful as it is repeatedly told and embellished. However, telling the story does more than provide a laugh. It invites others into the social circle and helps them to fit in. And that is why the constant reinterpretation of life's events lead us to a happier life. By engaging others with our history, we learn how we arrived where we are today and make choices for where we are going tomorrow. Find out how you can edit your way to a happier life with "All Things Considered: Editing Your Life's Stories Can Create Happier Endings" from NPR. 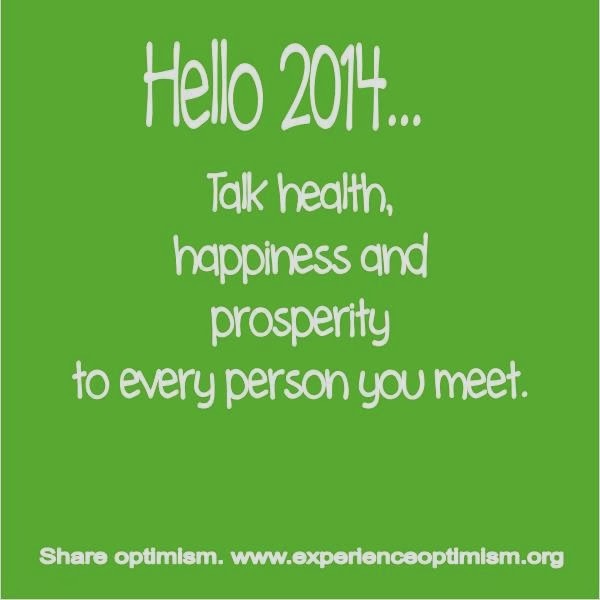 I chose the second line of the Optimist Creed as my greeting for a happy new year in 2014. You see, so often when we speak to friends, we discuss issues of poor circumstances and instead of sharing the positive, we languish in the woe. How much better would life be if we chose instead to look at the sunny side? I understand that it isn't always realistic to do so; sometimes we have to share disturbing or sad news. 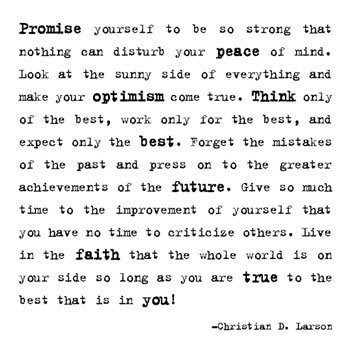 However, when we have obstacles we also have to get over them and this promise reminds us to do so. It's a matter of perspective. Over the holidays, two friends lost members of their family. Both of those lost were in their 80s and had lived long, full lives. One friend wrote on their Facebook page about his loved one's accomplishments and how he would miss them. Friends reached out with comments of concern and shared stories of their own. The other friend wrote that her grandma had died more in passing. It was clear that the second person was grieving, but without sharing a positive story, it was difficult to give comfort. I felt to do so would intrude into a personal space and "I am sorry for your loss" seemed so insignificant. Celebrations of life are important even on our Facebook page, but it is even more important to celebrate our lives every day, in real life, in the real world. That begins by sharing stories of happiness, working for good health and reaching for the indelible wealth of a good life. Say hello to 2014. Now you know what to do next.